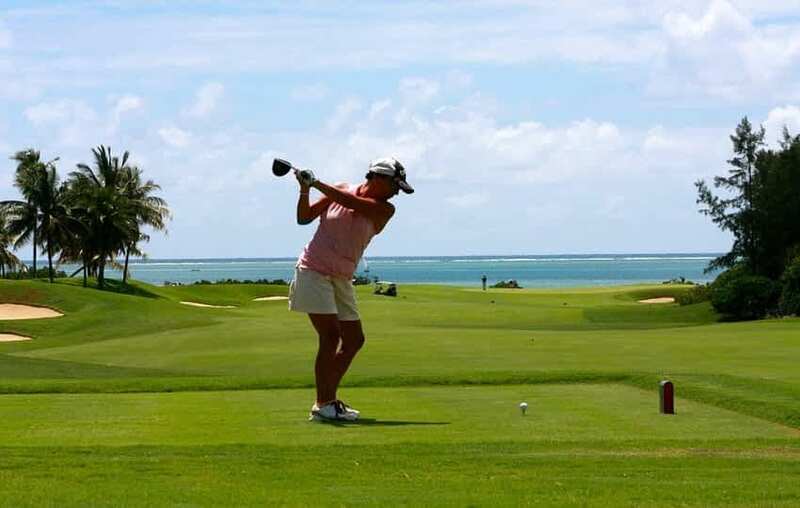 Congratulations Mom! You and your baby have turned 9 months. Now your little bundle of joy is getting closer to toddler hood. Well, worried for your 9 month baby food? If this is so, this post is a must read for you. 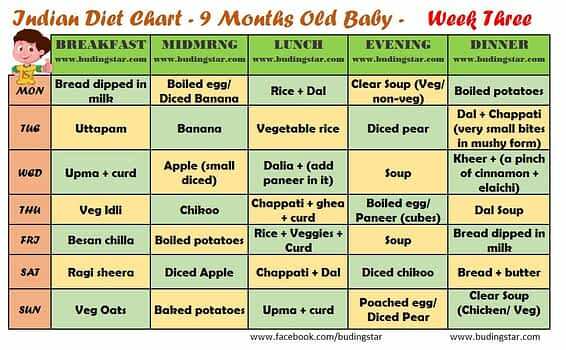 In this article, Indian Food Chart for 9 months old baby and tips on how to feed him/her are discussed. Now your baby may have started to understand gestures, pointing and mumbling to indicate her wants. These are few of 9 month old milestone. So, playtime with her shall be becoming more joyful now. Isn’t it? But when it comes to food, most of the babies are fussy eaters. Thus, introduce/offer the foods in a very playful manner so that the meal time also becomes another pleasure time for her. 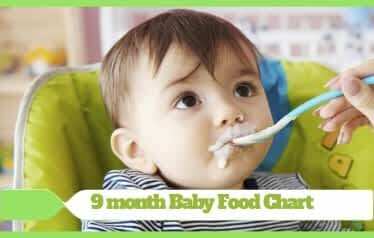 Before sharing 9 month old feeding chart, let us know important tips on how to feed food to 9 month old baby. Always give properly fresh cooked, soft textured and easy to digest foods as the baby’s digestive system is still developing. 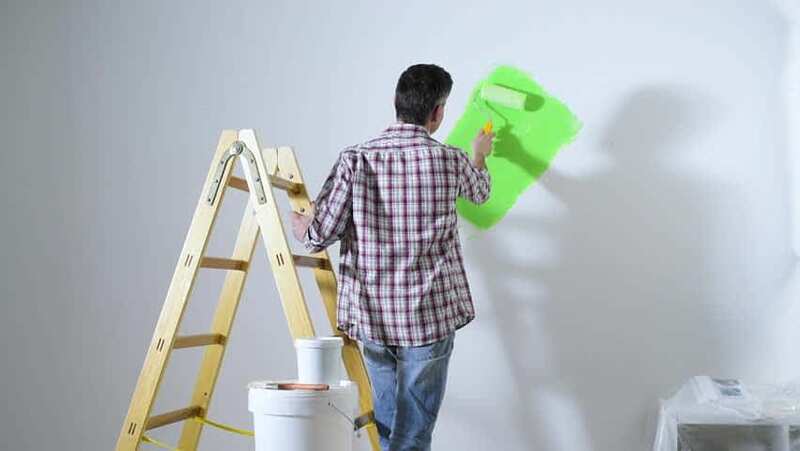 Don’t store the fruit and vegetable puree. Now you can offer your baby, 3 main meals a day (i.e. Breakfast, Lunch and Dinner) and in between 2 snacks time (morning and evening). Always remember that breast feed/ formula feed is very important and should be continued as and when required by the baby. Try to show your little munchkin how to put the food in the mouth as it can help her to learn new skill of self- feeding. Let the baby try drinking from a sippy cup, let them enjoy it for few months as it will help in leaving the habit of drinking from the bottle. You can also give finger foods (easy-to-eat pieces of food that your baby can pick up and eat by herself) like breads, pasta, cottage cheese cubes, tofu cubes, etc. Though finger foods get easily dissolved, still you need to be around them when they are having food as to avoid the choking hazard. Try the foods she once rejected after few days. She may start liking it. Sometimes the mothers feed a food repeatedly, thinking that their baby really liked it. Instead the baby gets bored of that food and hence starts rejecting it. So, feed variety of foods and try not to repeat but do remember 3-days wait rule too while introducing new foods to her. Refrain your baby from watching TV, mobile phone, etc. when you are feeding anything. While feeding any food, play some innovative games or make her listen a very pioneering story. So, moms for tackling your little fussy eater learn some new stories that require loads of acting. At this stage, she may be getting very fussy due to sore gums (teething problem). Be patient Mommies..! Don’t feed anything forcefully to baby. Also, never over-stuff his mouth with food. Sterilize the baby utensils that are used for cooking and feeding. Be careful while feeding your baby as introduction of some solid foods can cause constipation or Diarrhea too. Water intake is must for a baby. Intake of water must be 2 to 4 ounce per day (i.e. 60 to 120 ml). Feed your baby when she is sitting in a proper sitting position. Make your baby sit on the high chair while feeding. Before I write down 9 month baby food chart, let us first see the list of foods that you can include and those you should avoid in your baby’ food chart. This is a phase when you should remember is “EAT A RAINBOW”. Include lots of fruits and vegetables of different colors and textures. Add apple, banana, oranges, mangoes, chikoo, litchi, watermelon, muskmelon, carrots, beans, peas, beetroot, potato. At nine months you can go ahead and introduce finely chopped and diced table foods. Table foods become an existing addition to the feeding regime. Try diced mangoes, banana, chikoo, nicely cooked carrot or other vegetables. Include different grains and cereals like rice, dalia, breads. Try to add eggs, chicken and fish. Cut the fruit into small pieces as it can cause choking to baby. Vegetables should be properly cooked before feeding. Chicken and fish should be cooked properly and should not be left raw from any side. Avoid processed meats like sausages, ham, salami. 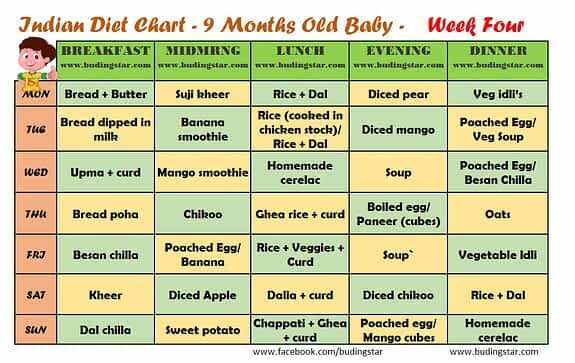 Now, we know what food is to be included and to be avoided, here is 9 month baby food chart for your reference. Important Tip: In addition to above mentioned food chart, you can give light foods (fruits/vegetables/ finger foods) in between as and when required by the baby (when baby feels hungry). Also, do continue Breastfeeding/ Formula milk to baby. 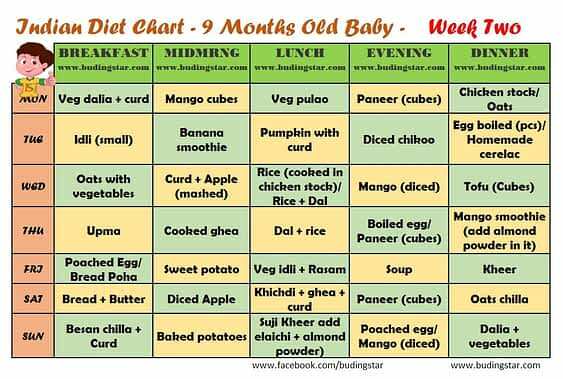 NOTE:- This 9 month baby food chart is framed to just give you an idea about the food items that you can include. 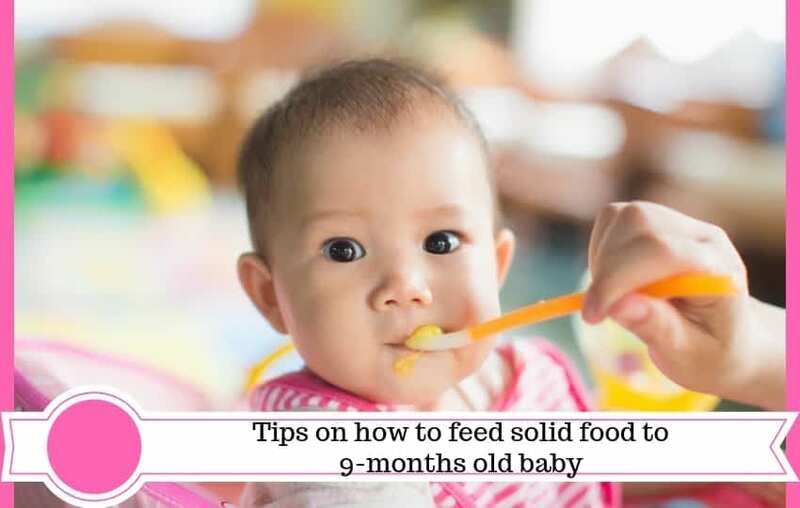 You can make changes in timings and according to the babies taste and acceptability for that particular food item, also changes can be made on the basis of availability of the food item. Strict meal times is not mandatory. Feed him whenever he is hungry. 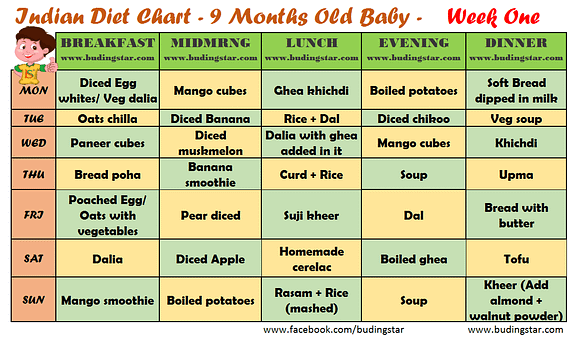 Do leave a comment if you have any query related to Indian Food Chart for 9 months old Baby. I am Isha Ahuja, Nutritionist and Weight Loss Consultant. I am blessed with an angel who is 3 years old. In all the stages of my life till date I feel “PARENTING” is the toughest of all. This is the stage where every single parent wants the best for their tiny ones. No matter what professional/non- professional backgrounds we belong to when we become a mommy its altogether a new journey and a new research that we have to start be it breastfeeding, weaning, toilet training and everything related to upbringing of a baby. So, here I am to share my experiences and advises with the new parents which can help you all in raising your tiny ones and giving them the best what they deserve.